Addy wants nothing more than to leave her small Illinois home for the gold-rich hills of Colorado, where a teaching job awaits. But her plans are thwarted when a band of outlaws rob the very bank in which she is withdrawing her savings, taking her hostage in the process. Rogue and ruthless, her captives sweep her off to the country with evil intent, but one man stands in the way. Ex-Confederate soldier Parker Cole doesn’t understand his own fierce determination to protect the beautiful captive from his fellow bandits. The last thing sheltered missionary Evelyn Gibbons wants upon arriving at the South Dakota reservation is to fall in love. 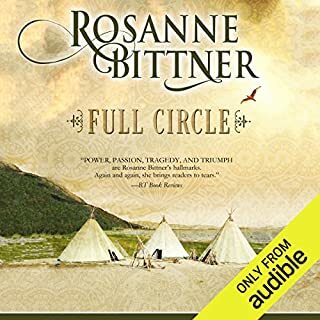 Yet, from the moment she clashes with Black Hawk, the complicated man of the Sioux, she knows he’s everything she could ever want, and everything she can never have. Living in the hills with his young son, Black Hawk reveres the ways of his people and is determined to preserve Sioux traditions. With her ranch on the line and three younger sisters to care for, Sunny Thornton is in no position to take on any more responsibility. But when she learns that the man who was paralyzed saving her life in a bank robbery isn't being cared for, she feels it's her duty to help him. She isn't moved by his attempts to push her away, nor does she care that he is an ex-con. As far as she's concerned, Ash has paid for his crimes. Plus, she can't deny the stirrings inside of her whenever he's near. 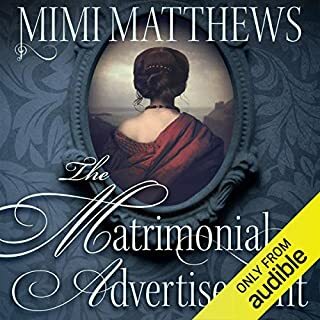 Traveling west aboard a wagon train with her late husband's family, young widow Marybeth MacKender wishes only to leave behind the memories of her loveless marriage, and to protect her infant son. But the dangers of the train are endless, as are the advances of her brutish brother-in-law who is resolute in claiming Marybeth as his own. 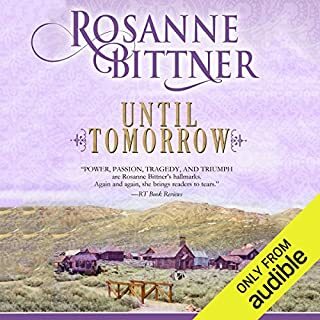 It isn't until Marybeth meets Joshua Rivers, a frontiersman both tough and tender, that her hope for the future ignites as brightly as the desire in her heart. 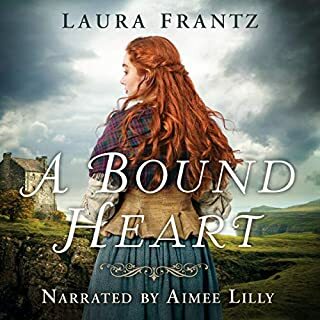 With courage aroused by passion, Marybeth is determined to face the perils of this rugged terrain for Joshua and the love she feels as great as the odds stacked against them. 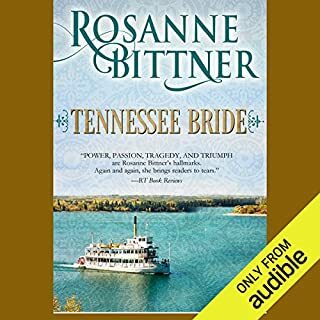 ©1990 F. Rosanne Bittner (P)2014 Audible Inc. I couldn't but it down. 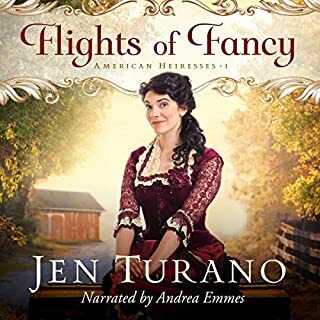 The characters are great, and the author did such a fantastic job in their description which also came through wonderfully with the narrator. I liked the story and the narration was pretty good, except for the Norwegian accent - it was pretty bad. 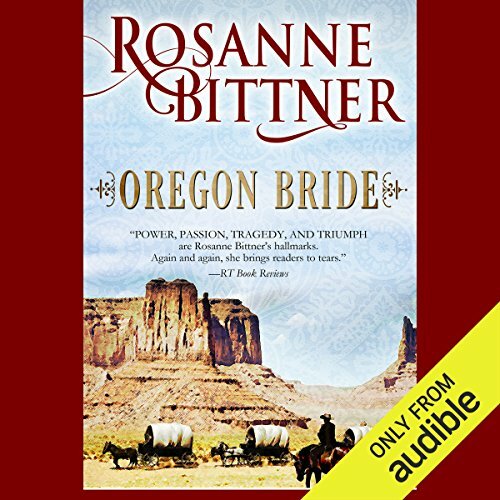 Where does Oregon Bride rank among all the audiobooks you’ve listened to so far?